The kids have got their costume, they’re ready for trick or treating, but there’s two hours to wait! 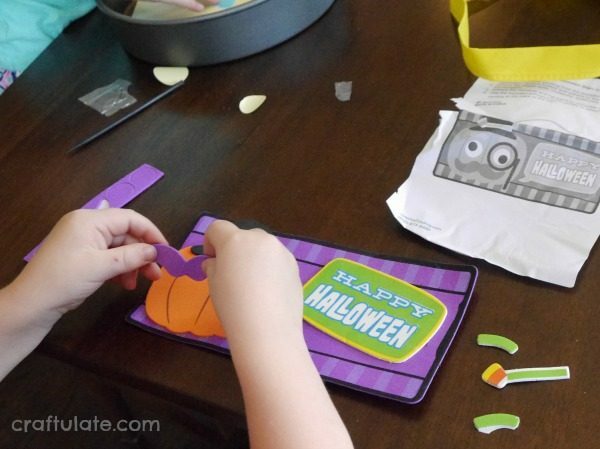 Rather than have bored kids on your hands, plan a Halloween Crafting Party! These craft kits from Oriental Trading are perfect for groups and are all available at SUPER reasonable prices. We recently visited our friends at Lalymom and I asked them to help test out six of the huge variety of crafts that Oriental Trading offer. Ages of the kids taking part were 4, 5, and 6. When we had our Summer Crafting Party, the sand art sheets were VERY successful – and the Halloween Monster version didn’t disappoint! You will need to provide some kind of shallow tray or container though to avoid sand being spilled everywhere. Each monster is divided into sections. Peel off the backing paper for each section (horns, eyes, tummy etc) then the kids sprinkle sand over that area. Shake to remove the excess, then move onto the next area! You may like to provide child-safe scissors if the they are unable to open the sand packets on their own. There are three fun monster varieties to choose from, too! Wow! There are so many designs to choose from, including cat, pumpkin, skeleton, bat, web and more! Each mini pack comes with one shaped scratch card, a plastic scratch tool (which works REALLY well!) and a piece of cord for hanging it up as an ornament. 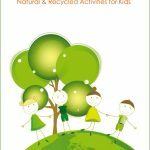 This was so successful with the kids – and great value! The kids couldn’t wait to get started on this haunted house! It comes with full instructions but you SO need to provide glue. The house base needed a little bit of adult assistance. But once the base and roof was complete, it was easy for the kids to glue on the doors, shutters, bats, signs and more. Like the haunted house, this craft has some tricky parts at the start that will need some assistance. The instructions say that glue is optional – but I think glue is essential! Once the acetate sheets are in place and have captured the sequins, kids will be able to use the craft foam stickers to complete the owl. This was so easy for the kids to do all by themselves! No glue required, as everything was adhesive. They stuck on the Happy Halloween sign, and the pumpkin, then decorated it! It also comes with a handy hanging cord. This craft is probably suitable for slightly older children – maybe 6 and over? They form the notched craft sticks into a web, then weave the yarn around them. Of course a younger child can try this, but the web might not be as neat! But it’s ideal if you’re hosting a party with mixed ages. The pom pom spiders are made separately, and you’ll need to provide glue for this. They’re also quite fiddly, so adult assistance may be required. I think the kids enjoyed the Halloween Sign Craft, Scratch Art and Sand Art the most – and it’s probably no coincidence that these were crafts they could mostly do on their own. The haunted house, spider web and cute owl ornament are definitely worth trying, because the final results are so great. Just make sure you have a good child to adult ratio for these ones! 🙂 I highly recommend checking out Oriental Trading for all your Halloween crafts and party supplies!